Wars, natural disasters, and crackdowns. 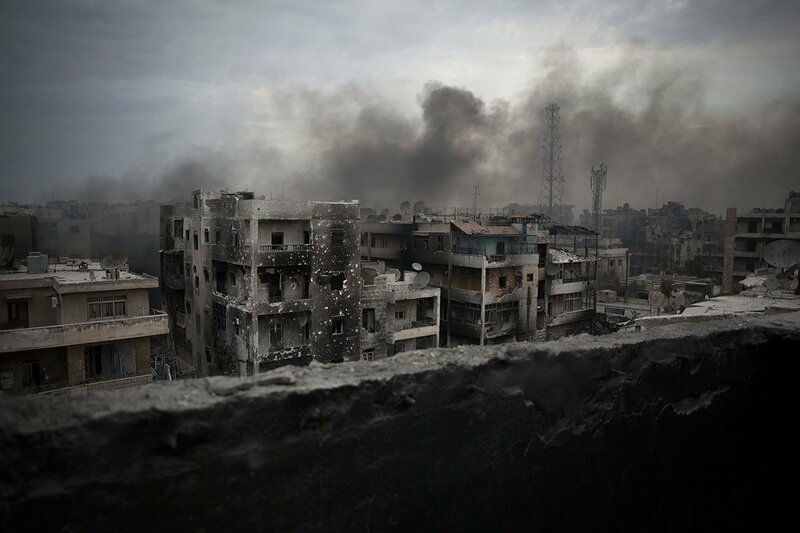 Smoke rises over Saif Al Dawla district in Aleppo, Syria, Tuesday, Oct. 2, 2012. From civil wars to natural disasters to ethnic cleansings, major tragedies are unfolding around the world without much scrutiny. It’s true that media attention and government action are limited resources, but the scale of these tragedies should warrant greater global reaction. Global Citizen campaigns on the Global Goals, which call for effective government action to address disasters and global inequality. You can take action on these issues here. Here are 11 recent tragedies that have been largely forgotten. 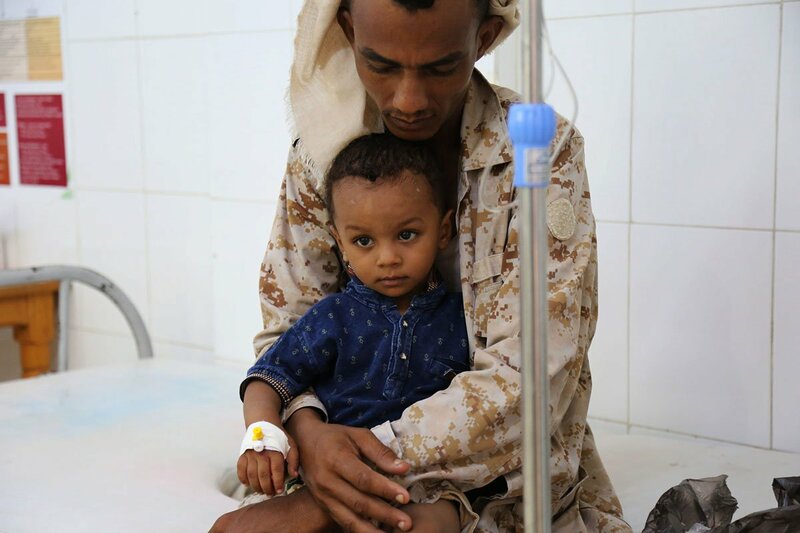 A child suffering from cholera is held by his father as he receives treatment at the Alsadaqah Hospital, Aden, Yemen, Monday August 14, 2017. Often called “The Forgotten War,” the war began in 2015 and has killed nearly 5,000 civilians, caused 3 million people to flee their homes, pushed 2 million children from school, and left 18.8 million people dependent on humanitarian assistance. The country is also suffering from the worst cholera outbreak in modern history. Ukraine was invaded by Russia in 2014 when the corrupt former president Viktor Yanukovych was ousted from office following large-scale public protests. Since then, Russian forces have occupied the eastern part of the country, engaging in sporadic clashes with Ukrainian forces. Nearly 10,000 people have died in combat, more than 225,000 have been injured, mass displacement has occurred, and the country’s economy is devastated. 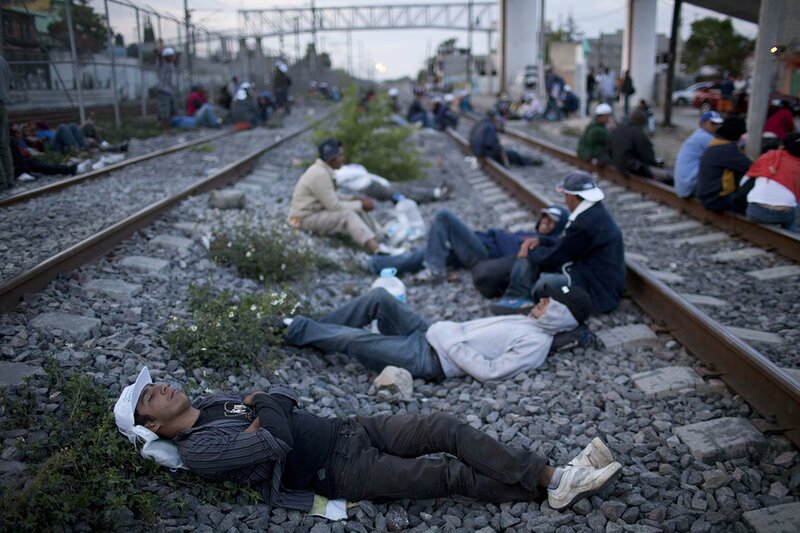 In this May 17, 2012 photo, migrants, mostly from Honduras, rest on railroad tracks as they wait for a train headed north, in Lecheria, on the outskirts of Mexico City. The world is currently facing its worst refugee crisis since records on the matter have been kept, but international attention tends to focus on just a handful of source countries in the Middle East and Africa and, more often, on the pressures faced by host countries. In Latin America, meanwhile, millions of people are displaced from their homes and often have to flee their countries because of gang violence, civil wars, and persecution. Many refugees in Honduras, El Salvador, and Guatemala — the so-called murder triangle of the world — often try to flee to the US for safety, but they’re just as often deported right back into zones of violence. In 2016, the US deported 240,000 Central Americans, many of whom had made claims for asylum. 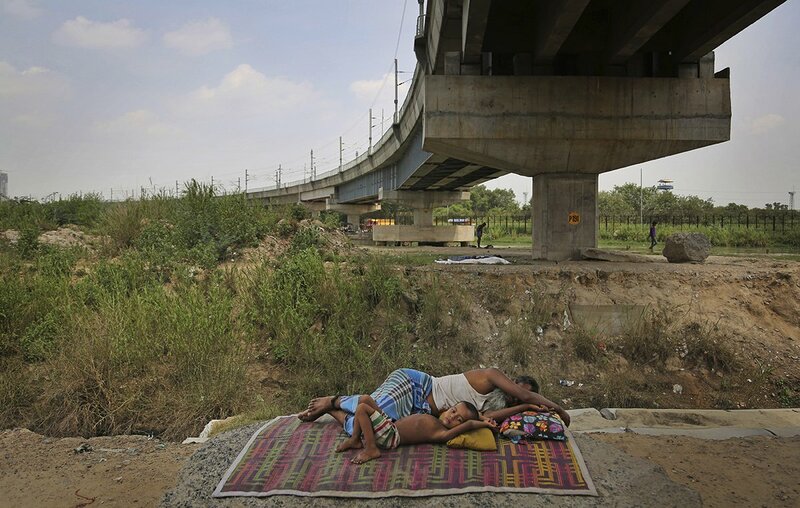 A Rohingya refugee takes a nap as a child lies next to him outside a temporary shelter in New Delhi, India, Wednesday, Aug. 16, 2017. The Rohingya people of Myanmar have lived in the state of Rakhine for decades, but they aren’t even officially recognized by the government. Since 2012, widespread discrimination against the Rohingya turned into brutal violence and tens of thousands of the ethnic minority were forced to flee their homes. They’ve been seeking safety every since, but are routinely denied asylum by other countries, captured by human traffickers, and left to live in destitute poverty. Read More: Rohingya Muslims Are the Most Persecuted Minority in the World: Who Are They? The Syrian civil war is in its seventh year. Since the brutal regime of Bashar Al-Assad began terrorizing its citizens in 2011, more than 400,000 people have been killed and more than 11 million people have been displaced. As various factions vie for control and to overthrow the government, the brutality of the war continues. In 2015, Nepal was hit by two earthquakes that killed more than 9,000 people, destroyed more than 8,000 schools, and triggered a vast water and sanitation crisis. Despite an outpouring of aid soon after the catastrophe, the country’s recovery is still precarious, especially since a lot of the damage was in remote, hard to reach areas. This natural disaster has recently been supplanted by catastrophic flooding in the country. 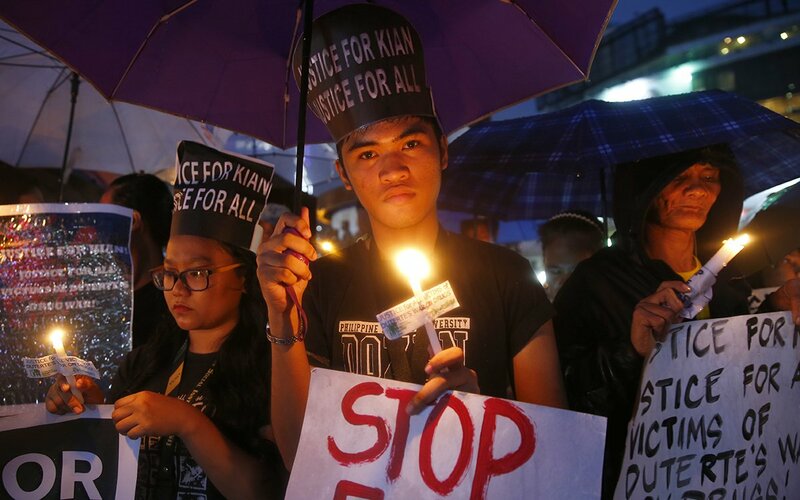 Protesters display placards and light candles during a rally to denounce the killing of Kian Loyd delos Santos, a 17-year-old Grade 11 student by police, Friday, Aug. 25, 2017 in Quezon city northeast of Manila, Philippines. Since taking office in 2016, President Rodrigo Duterte has embarked on a brutal war on drugs, rife with corruption, extrajudicial killings, and other human rights violations. More than 7,000 people have been killed in state-sanctioned violence, mostly in poor areas. While the bloodshed has gone on largely without resistance, a recent murder of a high school student has sparked outrage throughout the country. Following a failed coup in 2016, Turkish President Recep Erdogan began a sweeping purge of civil society, arresting around 50,000 people and dismissing and blacklisting nearly 200,000 lawyers, teachers, judges, journalists, and people from many more professions. Egyptian President Abdel el-Sisi seized power in 2015, jailing the democratically elected president Mohamed Morsi. Since then, el-Sisi has shown little regard for human rights and has essentially outlawed freedom of expression and dissent in the country. The people of Flint have been living with “severely” contaminated water since 2014 when the state of Michigan switched the city’s water supply. Lead poisoning, which causes irreversible brain damage in children, has affected thousands of children. But Flint’s crisis is just the beginning of the rest of the country’s water problem. In 2015, nearly 77 million US citizens lived with contaminated water flowing from their taps. As the world faces a range of environmental threats — deforestation, climate change, air and water pollution, and so on — activists around the world are trying to challenge corporate interests. Far too often, they’re killed and their murderers go unpunished. The deadliest year ever for environmentalists was 2016. Before that, 2015.